This 25th anniversary edition relaunches Gomez's (Don't Explain, 1998, etc.) novel about an assumption-shattering woman who happens to be black, lesbian, and a vampire. When a young black girl escapes from a life of slavery in 1850s Louisiana, she takes refuge in a brothel run by two mysterious women who educate her, become her family, and eventually introduce her to the world of vampirism and eternal life. The novel follows Gilda’s experiences as she wrestles with the responsibilities of supernatural power and the challenges of unending life, swooping in on key episodes that each take place in a different time and city. Gilda meets other vampires in the salons of early San Francisco, becomes a beautician in 1950s Boston, works in off-Broadway theater in 1971, and eventually leaps ahead of us in time to a bleak future of economic and environmental collapse. These historic vignettes delight in and take energy from their settings, reveling in period details and costuming. 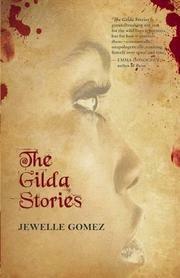 They also place issues of blackness, sexuality, and female empowerment in different times, giving Gilda’s story the heft of historical context to play its themes against. The earnest conviction of the novel and its desire to create a black lesbian heroine whose strength and choices redefine assumptions about the vampire myth lend it a certain momentum, but the story falters under the strain of unclear and often graceless writing. Point of view shifts unexpectedly and without clear narrative motive, cutting the reader adrift from the flow of the story and making the characters awkwardly transparent. While the novel presents a compelling imagining of vampirism as a meaningful and spiritual exchange, certain elements of simple exposition, like the rules that govern a vampire’s existence, remain jumbled and confusing. An interpretation of the vampire story that celebrates issues of race and sexuality but loses power to its inadequate writing.